I met Englebert, a 51 year old San Franciscan with a passion for the gym and dancing, in Puerto Rican bar. Our eyes met from across the room and I had to get up and say something. Only I didn’t: I created Englebert using the online service Invisible Boyfriend. What follows is the tale of mine and Englebert’s short and sordid romance. Invisible Boyfriend — and its sister site, Invisible Girlfriend — is a tool for creating your own fictional flame. 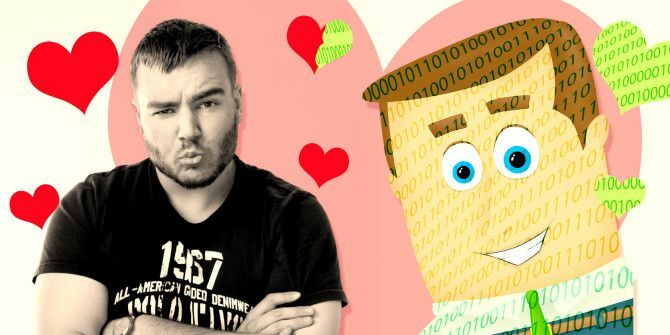 Working your way through the boyfriend creator, you get to choose your potential partner’s name, age, gender, picture and interests, as well as create a little story of how you met. Text your binary bae and within a few minutes you’ll get a message back. They aren’t computer generated; at the other end of the line there’s a real person texting you back. They might not be a 51 year-old San Franciscan who likes to move it, but they’re someone. You start with 10 texts — though it’s really only 5 texts received, as your text count. For $25 dollars a month, your digital darling will send you 50 texts, leave you 10 voicemails and even send you a post card. If your paramour proves to be the chatty type, you can buy another 100 texts for $10. At the moment it’s only available in the US and Canada; I had to rope a bewildered friend into letting me use her Canadian number. Invisible Boyfriend sells itself as a way to get all the social proof of a partner, without the actual partner. Your mother is wondering why you haven’t met a good Catholic girl yet? Sign up for Invisible Girlfriend and you’ll be able to tell her all about your SMS sweetheart. If she invites him over for dinner, you can text him there and then. He’ll come up with a totally reasonable excuse as to why he can’t do whatever day she suggests. Or perhaps you’re socially awkward, and want an opportunity to practice flirting? Apparently you can start practicing with Invisible Boyfriend. Whether the people at the other end of the line are good flirters or not remains to be seen. Englebert — who I decided was “Saucy and Sarcastic” — whiplashed between dismissive and flirtatious. The how to page goes into quite a bit of detail on creating a convincing relationship, and offers a few other suggestions on how you might want to use your digital date. 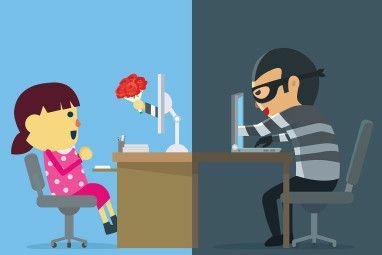 The main thing they’re selling is the social proof of having a partner – if you’re looking for the comfort that comes with having a special someone, the cyber equivalent isn’t going to cut it. 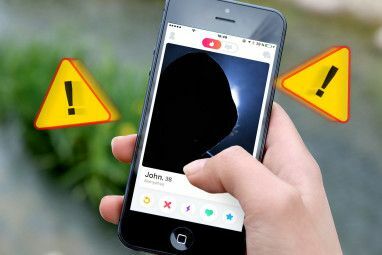 “This may be a bit weird but can I borrow your phone number so I can create a fake boyfriend?” That’s the first thing I said when I called Hannah, my friend in Canada. Unsurprisingly, she was up for it. The night before I’d signed up for Invisible Boyfriend. With the help (and ridicule) of my co-worker, Jess, I decided I was going to mix things up and find myself a boyfriend. Seeing as he was going to be fictional, my heterosexuality wasn’t a barrier! Age? Well with a name like Englebert — or E for short — he couldn’t be too young. Invisible Boyfriend doesn’t let you create anyone Heffner-esqe: the oldest option is 55. I didn’t want to be dating an old man, so I settled on 51. A bit of salt and pepper never hurt anyone. Next up I had to choose what he looked like. Unfortunately, the choice was pretty limited: there was only 16 potential paramours and only one or two could pass for 51. I did what I had to do and settled for the prettier of two evils. For E’s personality, I wanted someone I could chat to and shared my own interests. I decided he was going to be “Saucy and Sarcastic”, and interested in working out and fitness. This was a guy I could falsely fall for. Finally, I had to create the all important origin story. This is something that can make or break a relationship in real life, let alone an imaginary one. As tempting as “we met online” was, I settled on a sweeter tale of meeting eyes in bar after noticing him emerge from the sea (like Daniel Craig in Casino Royale). With that done, Englebert was ready for action. As soon as I added Hannah’s number to Invisible Boyfriend, E started texting. With only 10 free texts, things needed to get going quickly. In the interest of investigative journalism, I was going to be fully emotionally involved. This was the first warning sign. There was no “x” at the end. Really? I shot back a simple reply asking how his day was going, but I made sure to include an “X”. He couldn’t ignore that could he? Well even if he wasn’t going to give me a proper response, I was going to give him one. No “X” this time though. That’ll sort his attitude problem. Instead E ignored my missive about my stressful day, unreasonable editors and irritating coworkers and decided just to tell me about his barbecue. No “I miss you”? No “yeah, it’s a shame”? I was starting to feel that my boyfriend was a bit of an asshat, so I decided to break out the classic lines. I told him he sounded distant. Hannah texted to tell me that my “boyfriend is a prick”, and the text that followed proved her point. Englebert was not the man I thought he was. I’m not ashamed to say that I was irrationally angry over this. If Englebert was real, stuff like this would have got him dumped. In the interest of this article I decided to give him a pass… this time. I let him stew for an hour then replied with a sweet text, a pet name, an invitation to dinner with my mum and one of the meanest lines ever: “I guess I can be a bit needy. You don’t think I’m needy do you?” This had Hannah in hysterics telling me I’d make the worst boyfriend ever. She may have a point! E ignored my passive aggressiveness and finally broke out the sassiness I’d supposedly fallen for. This was more like it! My response was equally flirtatious. Yes, I appreciate I was probably a little too involved at this point. The banter continued but that was it. My 10 texts with Englebert were up. Unless I was prepared to fork out $10 to reactivate my relationship, I was dumped. To save myself that shame, I decided not to text him back. Signing up for Invisible Boyfriend was one of the weirdest things I’ve ever done for an article. From the start I decided if I was going to do it, I was going to commit fully. That led to me almost getting into a fight with my own creation. So what of the service? Well, it does what it says it does. I had a number I could text and I’d get a response. My attempt to arrange dinner was met with a reasonable dodge. Whoever was in control of Englebert replied fairly promptly – no more than five or ten minutes after I sent every text. My own attempts to convince my friends that E was real were met with ridicule. Sexual orientation aside, for some reason people just wouldn’t buy the idea I was dating a 51 year-old San Franciscan. However, if you put a little less imagination into your creation, I reckon you could create the passable illusion that you were in a long distance relationship. The big question, though, is why would you do it? If you’re trying to fake a relationship to appease a relative it’s one thing, but if it’s for any other reason than that, Invisible Boyfriend — or Girlfriend — isn’t for you. If you’re lonely or depressed, the Internet can help you Beat The Loneliness: Find Friends & Let The Internet Help You Beat The Loneliness: Find Friends & Let The Internet Help You Feeling lonely? Virtual friends won't make that feeling go away. The best cure is to meet people and make friends in real life. This can be really tough, but the Internet can help you! Read More in much better ways Depression & The Internet: Welcome To Your Temporary Support Group Depression & The Internet: Welcome To Your Temporary Support Group Talking is important, and sometimes the Internet is a good substitute when your real life friends aren't around. Here are three sites I recommend for less formal depression-focused conversations. Read More . 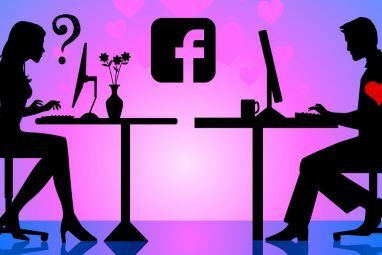 If you’re looking for a relationship, online dating has never been bigger OkCupid -- How A Dating Website Wants To Fix Your Love Life With Math OkCupid -- How A Dating Website Wants To Fix Your Love Life With Math Online dating won't fix all your romantic problems. But if online dating is where you're at right now, OkCupid is the best service, free or paid, available on the market today. Read More . There are even really niche sites — like ones for gamers 3 Gamer Dating Sites For Finding Geeky Dates 3 Gamer Dating Sites For Finding Geeky Dates Gamers deserve love too, and several sites have popped up over the years that can help gamers find romantic partners who also share a love for video games. Read More — cropping up; you’re pretty much guaranteed to find something that fits your needs.